The Blyde River Canyon is a significant natural feature of South Africa, located in Mpumalanga, and forming the northern part of the Drakensberg escarpment. The canyon consists mostly of red sandstone. It is 25 km (16 mi) in length and is, on average, around 750 m (2,461 ft) deep. 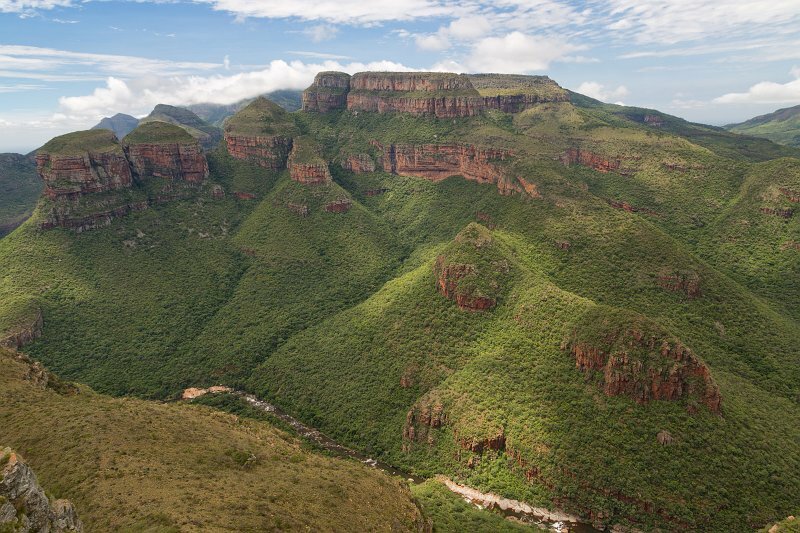 The highest point of the canyon, Mariepskop, is 1,944 m (6,378 ft) above sea level, whilst its lowest point where the river leaves the canyon is slightly less than 561 m (1,841 ft) above sea level. This means that by some measure the canyon is 1,383 m (4,537 ft) deep.